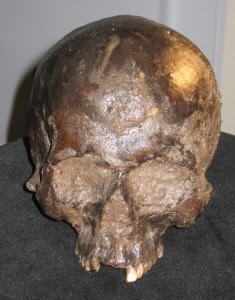 21 January - Britain's oldest brain (York Archaeology). While not Roman in date, this preserved brain goes back to the 6th century AD BC which is all kinds of cool. Can't wait to read about what they find out from this organ! 31 January - About the funerary ritual of Sanisera's necropolis (Sanisera Blog). Sanisera is a Roman port city on Minorca, and excavations have been underway for a number of years on its necropolis. This blog post does not have much information but highlights the re-use of tombs, likely by family members, over time. 3 February - New mummies discovered floating in sewage in Upper Egypt (Daily News Egypt). It seems that two mummies of women from the Roman era were found, along with their sarcophagi, floating in sewage near a small village. Officials think some unauthorized digging caused the discovery and destruction of the mummies. 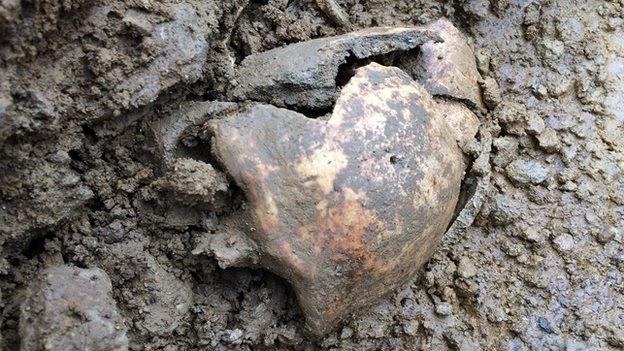 10 February - Skeletons uncovered at Ipplepen reveal major Roman cemetery (British Archaeology News Resource). Around a dozen skeletons were found at this settlement in Devon. Notably, there are some skeletons that date to the post-Roman period, suggesting continuity even after Roman rule was over. 12 February - The GPAT neighborhood with Megan Perry (GPAT). 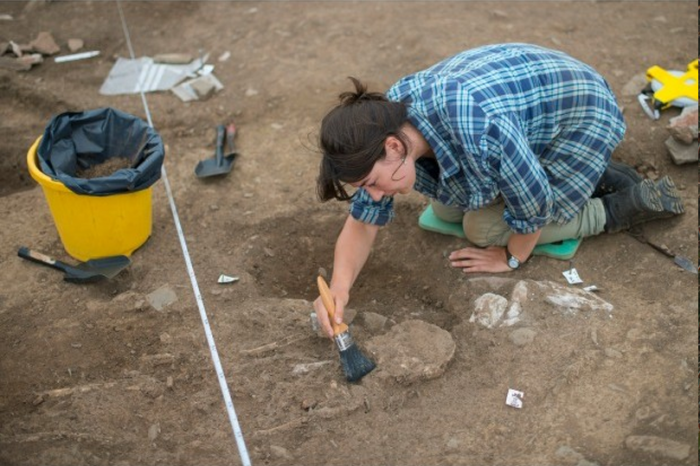 Bioarchaeologist Megan Perry has an interview with a local TV program on her work at Petra in Jordan that is well worth listening to! 25 February - 'Unique' Roman tombstone found in Cirencester (BBC). Not sure why 'unique' is in scare quotes because it is -- this tombstone was found with the skeleton to whom it referred, a woman named Bodica who died at age 27, which makes it really, really unusual if not completely unique. I wish we had more tombstone-skeleton combinations because there's a whole bunch of historical-bioarchaeological stuff that could be done (that I can't do with just skeletons). 6 February - The ancient Mediterranean diet (Archaeology Magazine). Zooarchaeologists Michael MacKinnon and Angela Trentacoste talked at the AIA meeting about how animal skeletons can inform our understanding of the Roman diet. Their paper is covered in a bit more depth at Inside Science, "Dinner at Piso's" (which, thankfully, fixed their erroneous "vomitorium" reference). Relatedly, there's a piece in the Hurriyet Daily News about a new restaurant in Antalya (Turkey) that is serving ancient Roman dishes. 15 February - Either urine or you're out: Epigraphy and graveyard etiquette. Roma historian Sarah Bond blogs about the customs and graffiti at Roman cemeteries in this entertaining post. 17 February - An ancient Roman articulated doll found in the sarcophagus of a mummy of an eight-year-old girl (Laughing Squid). While this find is not in any way new (it was found in 1964), it's nice to see this beautiful little doll highlighted because she's really no different than what my girls play with today. Derp, I apparently can't read. Or type. I've made the correction in the above. Thanks, Nick!